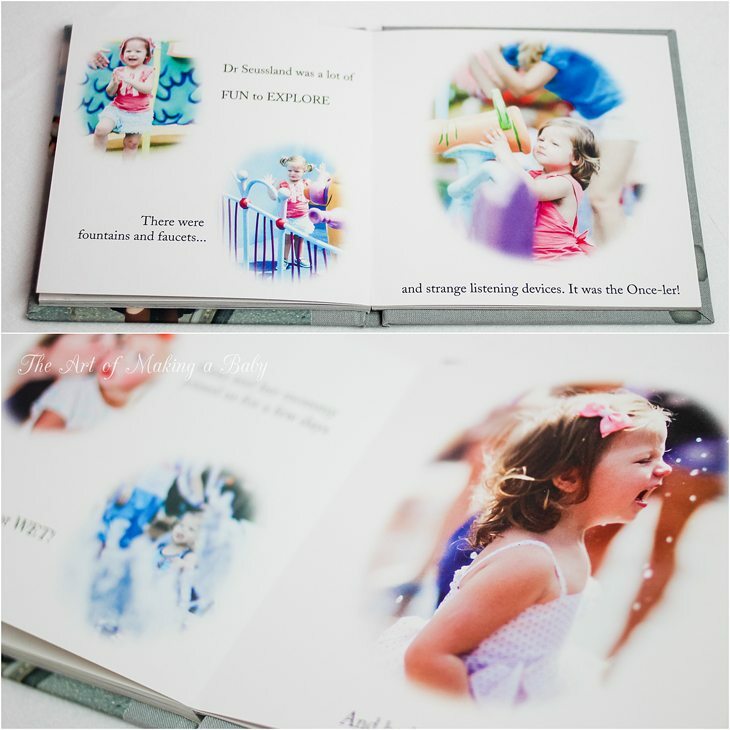 I have been really digging making custom books kids and seeing Lexi’s response to them. 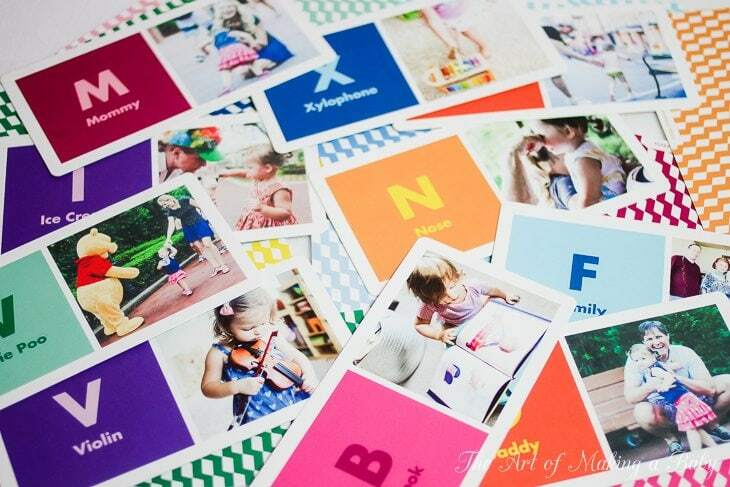 Since at this age, their world revolves around their own self, it’s helpful to show their days and experiences from their standpoint, featuring their names and pictures. Aside from helping kids develop a sense of self, it keeps their interest longer and more intense. I started making custom books for kids at about a year old. Creating one after another based on the struggles or interests we were having. 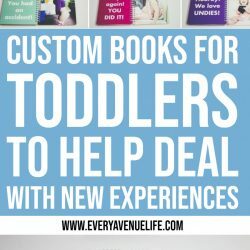 There are some books that are pre-made for you and only need minor personalization, and others that require more time, photos and creativity to make it a story or a lesson. 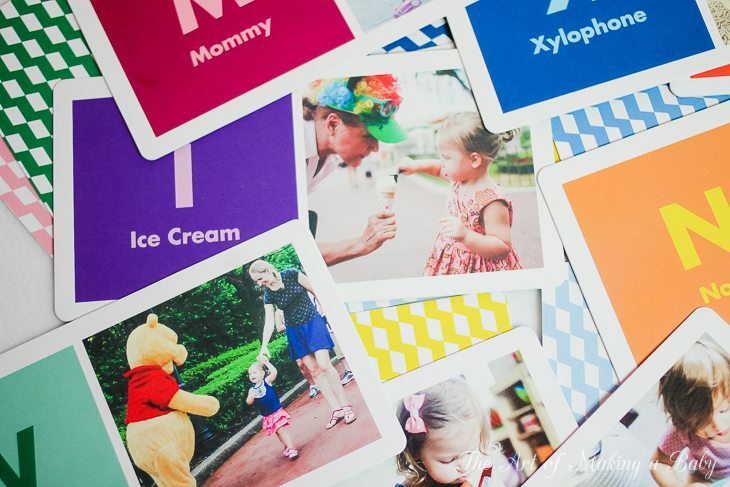 These ABC flash cards are a total must for anyone with a toddler! 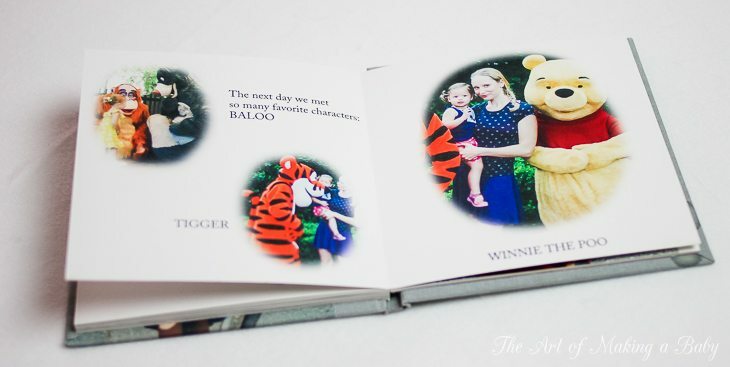 The first custom book I made was a board book from a company that does seem to be in business anymore. I wanted to get a jump start on helping Lexi recognize emotions and feelings and when she was about 8 months old. I took a series of photos of me and Andrew featuring some basic expressions: happiness, sadness, anger, surprise, being cold and hot, fear. I was limited to only 12 pages and since I was featuring both Russian and English words, I could only do 6 emotions. Lexi absolutely LOVED the book. At that age, seeing her mommy and daddy with funny expressions was EXACTLY what she wanted. 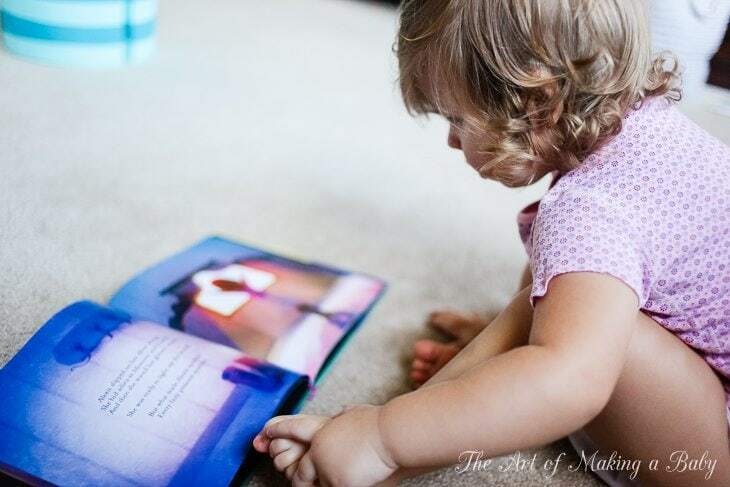 At about 16 months, the book lost its appeal and it once again is peeking her interest now, at 2, when she has a better understanding of human emotion. I would recommend that EVERYONE creates such a book for their little one as early as possible, because understanding and recognizing emotion is integral part in avoiding tantrums and creating compassion. My recommendation is Pinhole Press books of names and faces that can be easily made into an Emotion Book. 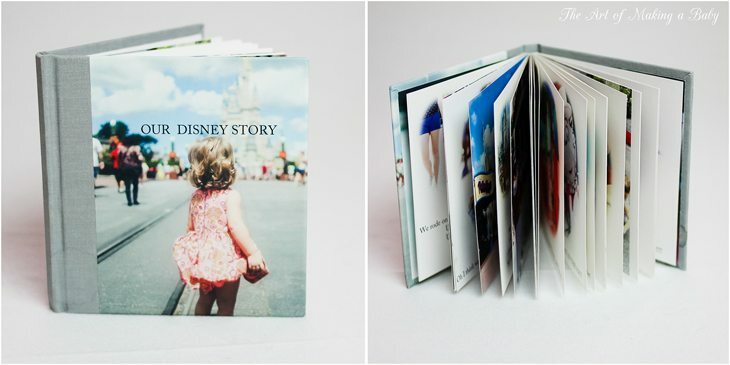 This is my favorite custom book for kids to date! Every page is filled with the most amazing illustrations and just enough text to interest, but not overwhelm a toddler. A great resource creating a solid bedtime routine for them, as it follows the character all throughout his day, and then goes over the typical bedtime steps: dinner, bath, kisses from parents, sleep. The character in the book sits down to eat your baby/toddler’s favorite food (in our case it was broccoli), then Mom and Dad go on to list your kiddo’s best characteristics, so the book goes beyond just name and hair color customization. I can’t recommend it enough. If fairies or superheros aren’t your type, there are plenty of other stories, like Birthday book, Christmas stories and many others . 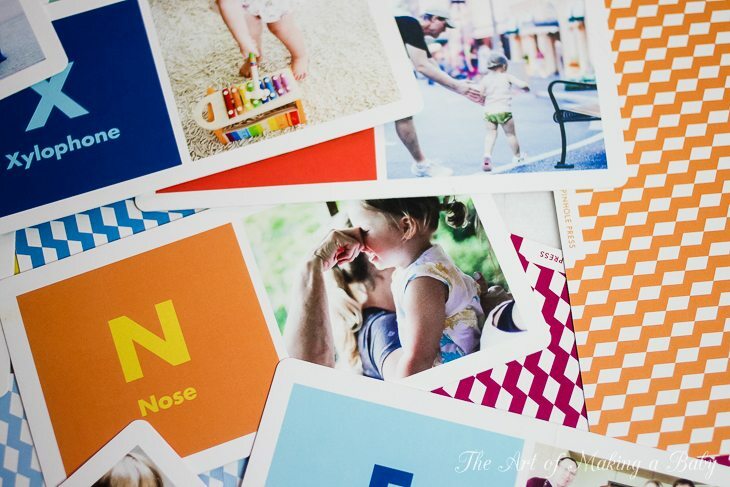 Designed as a Book of Names and Faces (which is still a great idea), Pinhole has a perfect medium for parent’s imagination and creativity in the form of a mini board book. It can be adjusted to pretty much any situation and any desires- sky is the limit. I created two books that were important to us at the time. Potty Book and Bedtime Book. Both books used and overused, read over and over again. 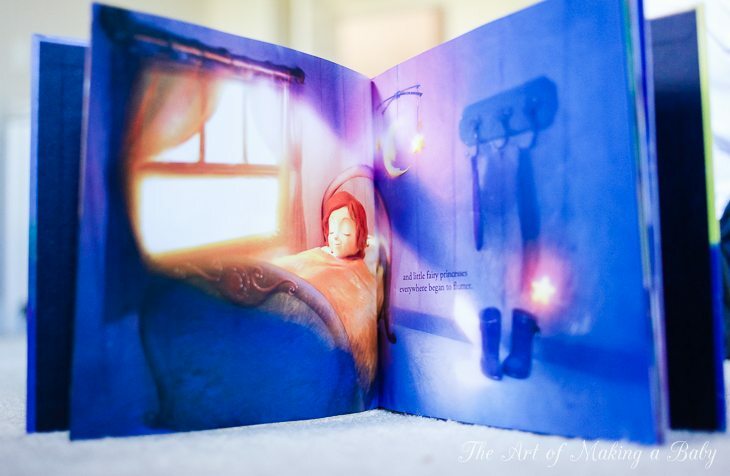 The bedtime book was especially useful when travelling, as it is small and features what toddlers love best, themselves. It helped wind Lexi down for bed by showing her how much she had accomplishes that day. We still do that now, without the book, going over her memories from the day. But having the book early on was instrumental in setting a good example in what became a daily routine for us. The quality of the book is great, being a board book it holds us to wear and tear really well and once again, I love it because possibilities are endless: from names and faces, to routines, short stories to changes in the family. 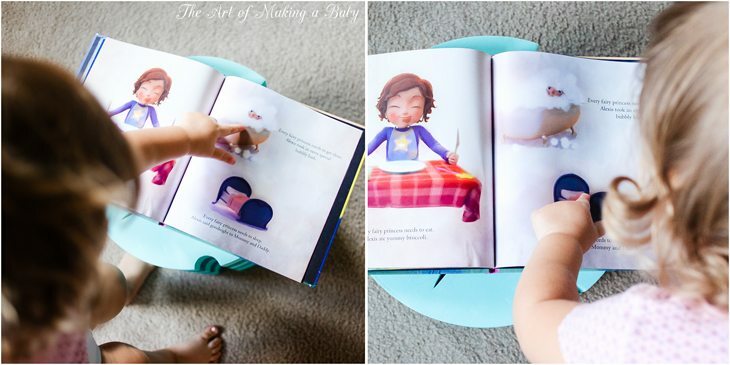 For example, rather than purchase a book that deals with an introduction to a new baby, parents could make a custom book for kids that is more relevant to their child. I LOVE LOVE LOVE LOVE this product! The quality is amazing! We have other store/internet bought flash cards, and they just don’t even come close to the Pinhole press cards. 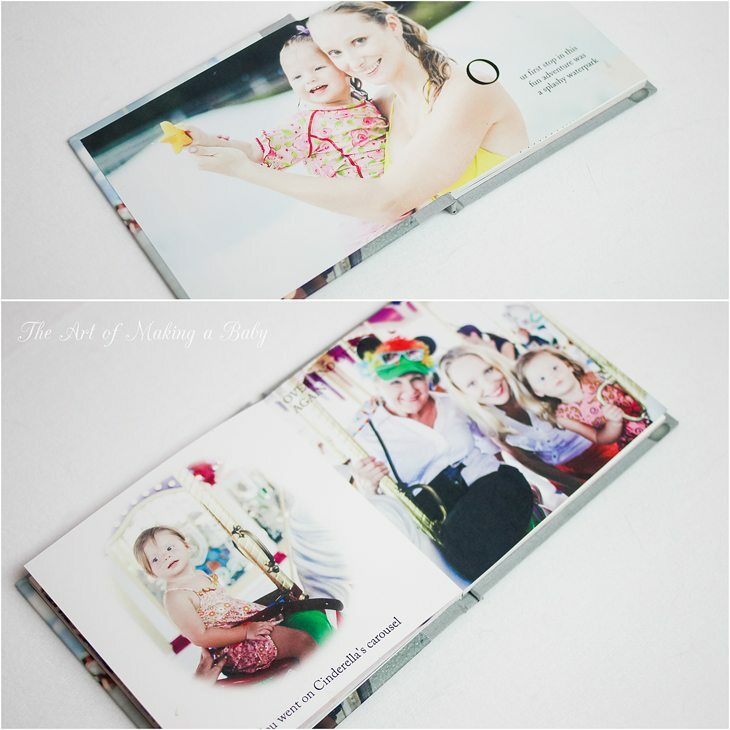 Matte, soft to touch, colorful and MOST importantly completely personalized with your pictures. I sort of wish Lexi didn’t learn the alphabet so early on (16 months), so she got more use out of these. I personally enjoy simply looking through them like a photobook. Super affordable, too. I would expect something like this to cost a lot more than $25 dollars. 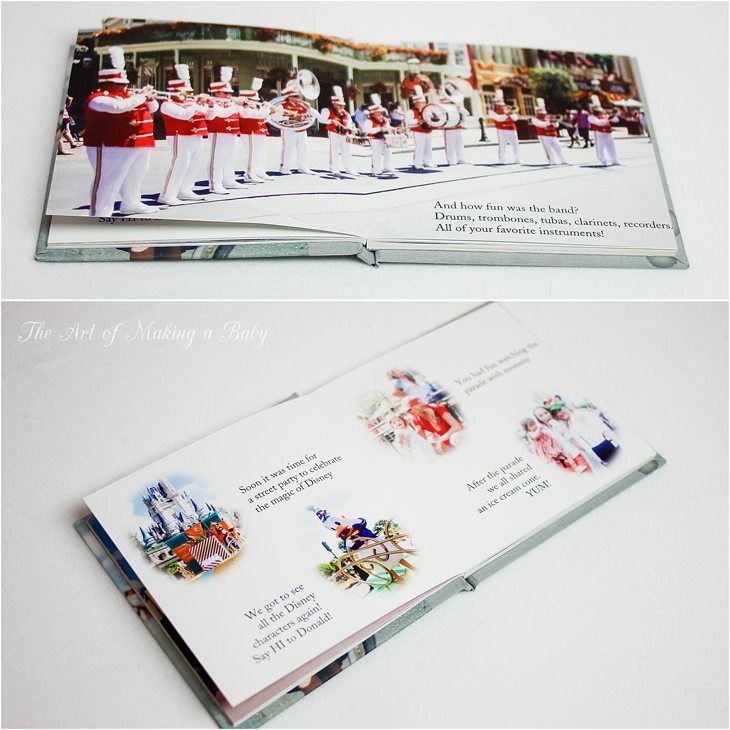 Right after our annual big trip to Disney and before Lexi’s first 5 hour flight, I made a Disney Story book, a book detailing our trip to Disney and everything that she saw and did. Oh it was a life saver on the plane and often occupies her in her car seat. 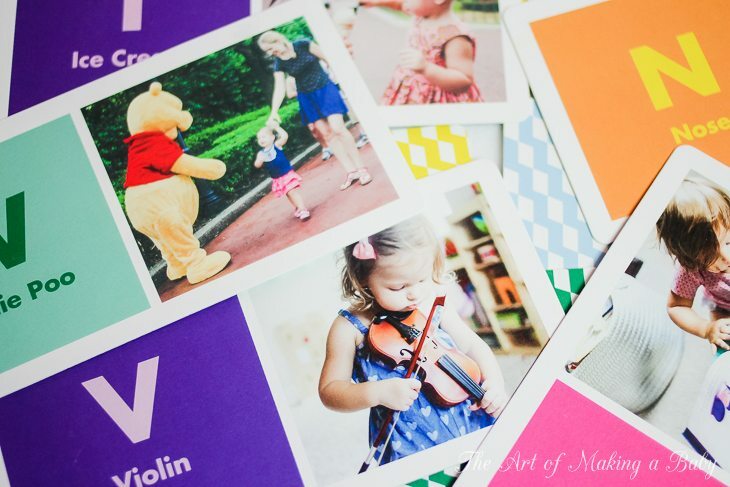 I haven’t seen any other product like this on the market and I think it’s a fairly new concept and product with Pinhole press, so that’s pretty cool that we have an opportunity to make custom stories for our kiddos. I can imagine as she gets older, we’ll be creating stories where she is a princess or a superhero, taking photos specifically for that. Some of these custom books for kids were sent to me free of charge in hopes of receiving a mention. 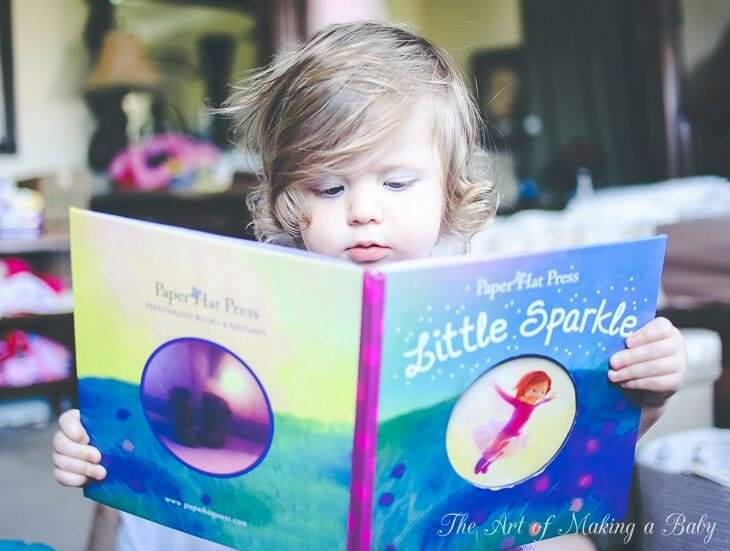 Thank you, Pinhole Press and Paperhat Press, for allowing me to discover these amazing products for children. I am sold. Lexi needs another sibling! Especially if she is homeschooled later on. 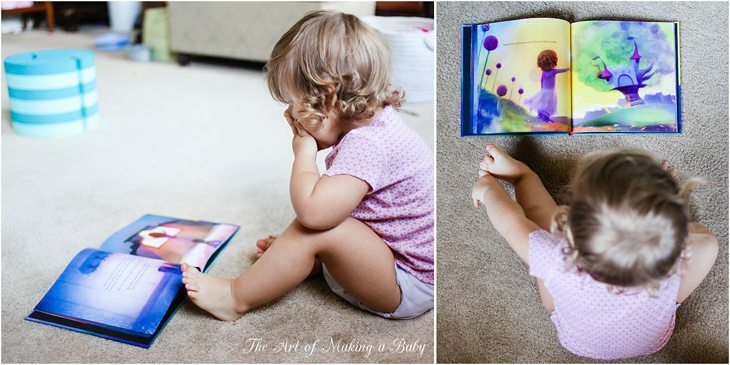 The books are great, she looks so adorable. Thank you for your sweet words Janelle!!!! Awesome! Awesome awesome awesome! Please keep up the hidden treasure posts like this! Love love love. Please do! He will enjoy it greatly! 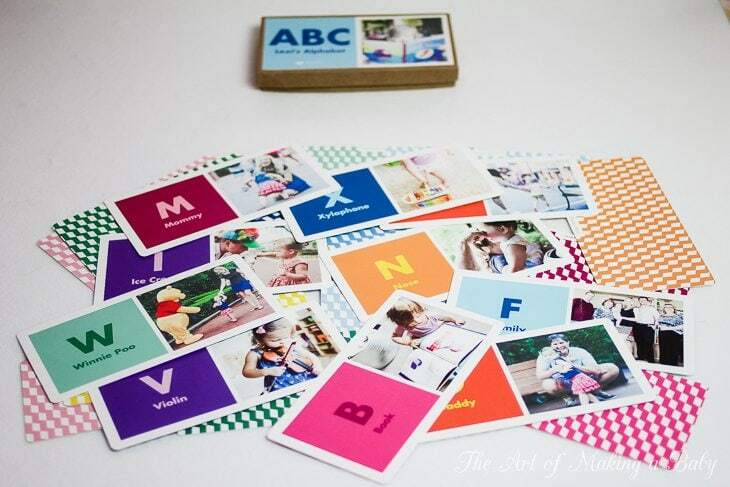 Ah the ABC flashcards! I’m getting them!! I love the zany idea of family books for babies. It is entirely too much customization for me, and all those photo book sites fill me with dread of sorting, organizing, and picking through years of baby pictures. 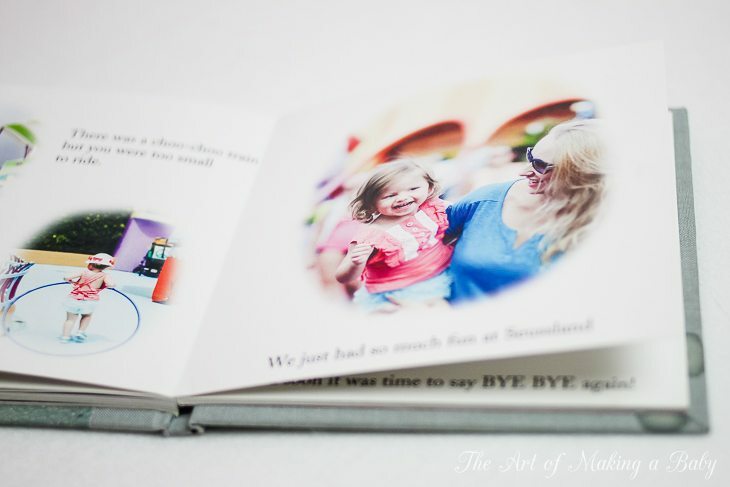 They do look cute, and Lexi has fun with them, and you took the time to make the books look very nice. I love reading about the products you use (some slightly nuttier than others – I remember baby leash – LOL), and I have added some to my repertoire over the years. I did use Pinhole press for a brag book gift and I was slightly disappointed with the picture quality and the way pictures got rendered… I used some of my pictures and some of the professional photographer pictures and both came out disappointing in the final product. I am not sure I am going to use them again, however, there is a lot of praise for them in the blog world… not sure if I just had a fluke bad experience. Anyways, on Pinhole, I am not sure what the problem was. I loved their photo quality, but this is in books. They are textured, so the photo is textured/grainy. Maybe it’s because it was a brag book that you were expecting glossy photographic quality? I don’t know… For photo books, I love Artifact and Blurb. I haven’t tried Pinhole for photo books, so i can’t comment. I did not expect the brag book to be “glossy”, but the quality of the professional shots just was not crisp; I did not expect my own photos to be great, though, as I am no photographer. 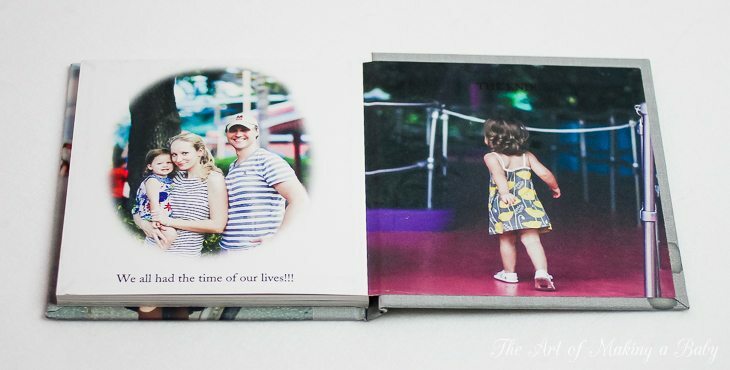 In general, the quality of the product (paper, binding) was very good, so may be the lack of “crisp” is just the general characteristic of the on-line photo books. I admire you for standing by your walking harness, and, being short, I can’t imagine the challenges (and perks) of a 5’11” gal. Something about the entire concept is funny to me, but I am not judging anyone who is using this contraption 🙂 My little one is just starting to want to cruise, so I get to do the walking thing all over again, and who knows, I may yet go to the dark side. Oh, on holding hands: pretty much a non-negotionable. Explained to my 2.5 year old that she is either holding my hand and staying close to mama in a crowd or we go home. And I MEAN turn around and go back to the car and drive home. No ifs or buts! Everyone defines boundaries differently, but I feel having a leash is doing nothing to define the boundaries and teach the kids to stay within the boundaries. I have a very broad/wide “frame”, within which my daughter can do pretty much anything she wants, but the boundaries are firm and not crossed w/o consequences. A leash just serves to constrain, and not teach mindfulness and conscientious following of the non-negotiable rules, in my opinion. Oh holding hands for a 2.5 year old- def. non-negotiable. Lexi takes my hand on her own and says “when crossing street with cars, hold mommy’s hand” each time. BUT try telling that an 11 months old. NO FREAKING WAY. I would totally get a leash if we had a runner, early on. And honestly, thinking about this age. I have a friend with a very active two year old. He gets the hand holding concept but he still runs each time, nothing you can do. Every child is different, so I wouldn’t condemn anyone for using anything that is helpful to them, until you have an experience with a similar child. See, I just disagree I wouldn’t even eye roll. I just get it. Just like people with sleeper babies simply don’t get what it’s like having a very awake/awake baby, we can’t understand parents with runner children. I thought it was stupid before I had Lexi, but now that I have seen runner kids and had a fast early fumbly walker myself ( who didn’t require a leash, but still), I just get it. Elena this is such a lovely post! Lexi is certainly a very lucky girl to have so many stunning photographs of her childhood documented in such a thoughtful way. 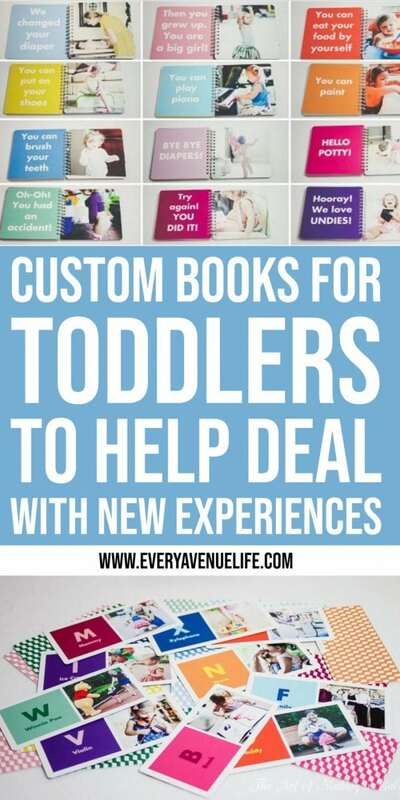 I’m an early years teacher and I cannot agree more with your board book ideas to help toddlers understand these early “life” concepts. My little one year old has a family faces books, and am planning to do ‘a day in the life of’ and an alphabet book in the coming months. 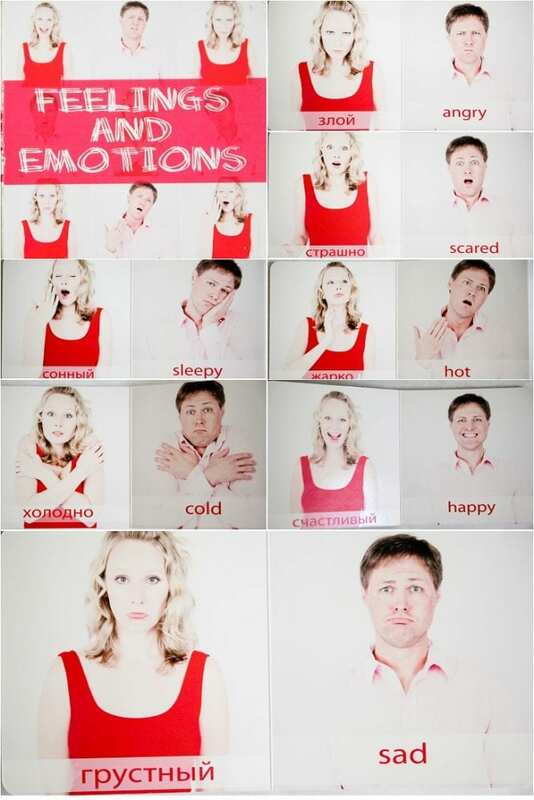 Love the emotions idea too!! Thank you Lauren! They were a lot of fun to make.